Nearly impossible to ignore, your Toyota Camry will turn heads due to its recharged exterior design that will stand out from the rest of the crowd. Having a reputation for being a top selling mid-size car, the Toyota Camry never fails to exceed a Texas driver’s expectations with its deluxe interior, high performance driving, innovative tech, and much more. The customizable features and options offered not only give you the ability to create your dream car, but match perfectly with your personality too. Commuting, adventuring, or simply dropping your friends or family off, the Toyota Camry is the perfect vehicle for going places. You’ll have a smile on every time you hop in your Camry to go around Houston, TX, knowing you’re experiencing more than just any sedan. When it comes to classic vehicles, the Camry is at the top of the list. The 2019 Camry continues the trend of offering a comfortable, dependable ride in addition to a wealth of features. In fact, the 2019 Camry comes in five separate trim levels: L, LE, SE, XSE, and XLE. Spread across the trims are countless comfort, safety, and technology features. For instance, the base L trim has 17-inch alloy wheels, car alarm, and a 60/40-split folding back seat while the SE offers simulated-leather upholstery, 18-inch wheels, revised steering calibration, and more. The XLE and XSE trim levels provide a variety of features such as an 8-inch touchscreen, a head-up display, leather upholstery, wireless smartphone charging, dual-zone automatic climate control, larger wheels, extra USB ports, and more. As you can see, the 2019 Camry is an excellent option if you’re searching for a ride that gives you and your passengers a safe and entertaining ride each time. Originally designed to be compact in size, the Toyota Camry has witnessed extensive modifications throughout its history, which has led to its award winning mid-size class. Having a respected past for dependability more so than looks, in 2007 Toyota debuted a completely redesigned model that was bolder than ever before. A perfect mix between chic and daring, the new and improved Toyota Camry was then available in a 3.5 liter V6 to add a bit more oomph to its class. Another milestone of the Camry’s history is that it is now offered as a hybrid, making driving experiences even better, but also more efficient. 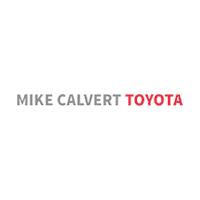 Mike Calvert Toyota of Houston, TX has always maintained a dependable reputation since 1983 for consistent, neighborly, and honest service. We are always pleased to provide this experience to every customer, every time. We only staff courteous and attentive salespeople, so we can assure you that your questions can be answered and your test drive will be hassle-free. Whether you are in Bellaire, Pearland, Sugar Land, or Missouri City, you should stop by today to experience the Camry yourself!